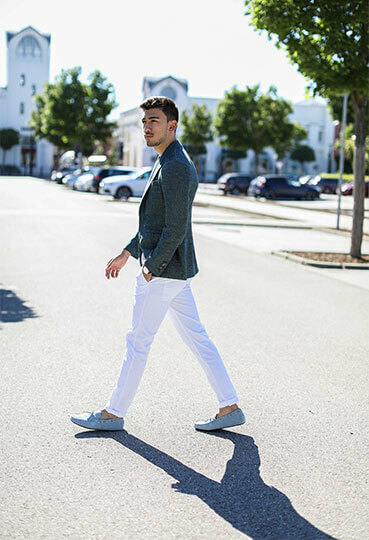 Chinos for men are a long-standing trend, and we think a pair in white is perfect for hot summer days. Combined with moccasins in light blue and a jacket in green: what more could a man want? We have the perfect beach look for hot summer days, no matter where you’re going! The perfect combination for any man is striking printed shorts, a casual shirt and backless shoes. We love this sweet festival look! We found these arty trousers with lace at Guess and the shirt at Patrizia Pepe. The must-have is definitely the belt bag from Baldinini! All of the prices referred to the current SALE prices. Changes reserved.